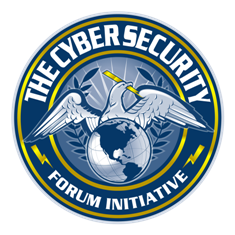 Devote a day to increasing your understanding of leading-edge issues in cyber security being or to be addressed by public-private cooperation and collaboration in research and technical solutions by government, academia, and industry. Listen to and meet government decision makers who face daily the dual challenge of completing their agencies’ objectives while protecting their operations and resources from unbidden intrusions. Hear academic and industry experts share research and breakthroughs that meet known and looming concerns. Mr. Chad Caison – Technical Director, KeyW Corp.
Mr. Loren Schwartz – CPA, CISA, Cotton & Co.
* Attendees are encouraged to tour the exhibit hall during lunch and breaks. During registration, coffee and a breakfast buffet will be provided. Lunch buffet will be provided. During the afternoon break, coffee and a snack will be provided. Also… Meet me! Joel, that is. The idea behind this colloqium is for business development and networking. I will be there to help introduce you to new ideas, new people and new ways to put your ideas to work. Let’s talk, start up a NDA and find better ways to make your dreams happen sooner and better than you might otherwise.